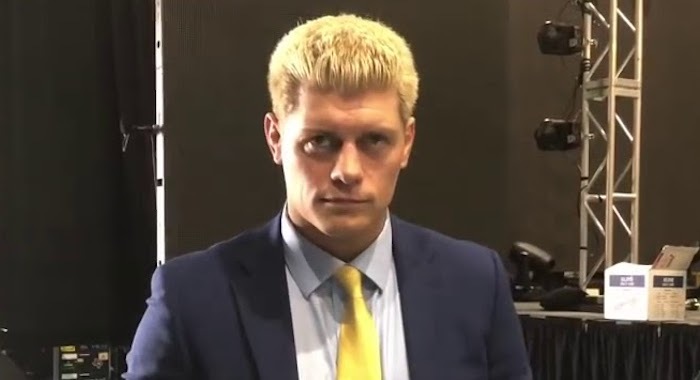 As we noted on Wednesday, Cody Rhodes participated in a Starrcast media conference call, and during the call Cody made the surprise revelation that he and Bullet Club plan to decide their futures as a group when their contracts with ROH and NJPW expire at the end of this year and in January of 2019. On the most recent episode of Wrestling Observer Radio, Dave Meltzer addressed Bullet Club possibly leaving ROH and NJPW in favor of WWE, and why the groupthink mentality will is more beneficial to the talents. “They all made a deal, they’re all gonna stick together”, said Meltzer. “Which is really interesting. Because if it’s gonna be The Young Bucks, Cody, and Omega, and Hangman Page, and they all stick together, they have a lot of leverage because they could really, they could hurt New Japan. New Japan will survive without them, but they’ll be really hurt on the foreign side. It really won’t hurt New Japan as far as Japan, losing Omega will hurt, but it won’t be like a death blow. Meltzer added that Bullet Club has much more leverage making moves a group, which is likely why they are going in that direction, as risky as it might sound. If any of the above quotes are used for article purposes, please credit ProWrestling.com for the transcription.